Rittal have launched a major upgrade to their RPE design software, complemented by the IEC 61439 guide book, which covers aspects of the standard that effect all control panels. The new version 6.2 provides the ability to design motor control centres, electrical switchgear, control panels and generate bill of material, costs and designs that comply with the latest IEC 61439 switchgear standards. Key features for users of Rittal’s RPE software include generation of copper connection drawings; production of design verification documentation and the ability to generate users own documentation; internal enclosure temperature calculation; application examples; excel configurator for temperature rise calculations up to 630A and up to 1600A according to IEC 61439 section 10.10.4.2 and new partial doors and front panels. 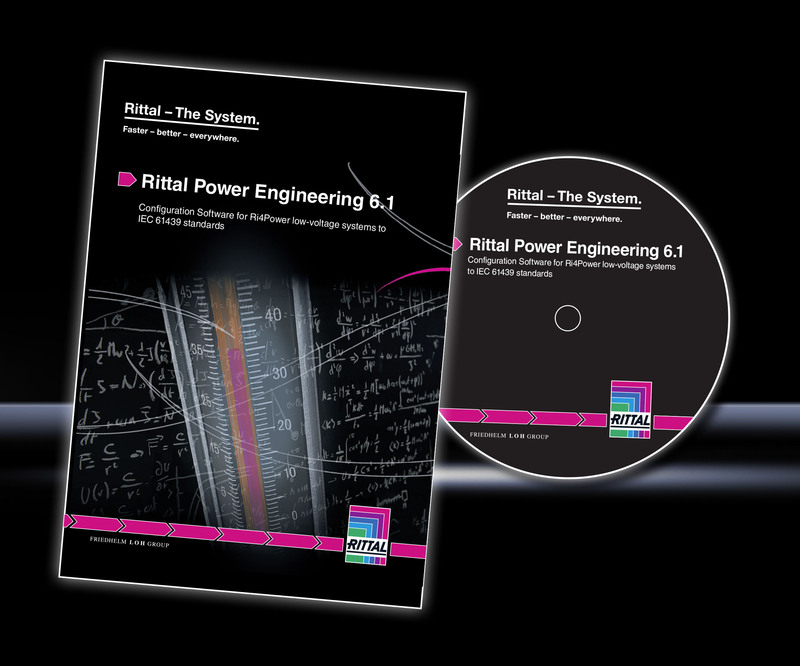 For a copy of the guide book and latest RPE software please contact Rittal. Alternatively, an upgrade from version 6.1 to 6.2 can be achieved automatically via the Internet. Stephen will be remembered for his story of courage after diverting his energies away from a clichéd ‘battle against cancer’ to a transcendent initiative to help others with cancer. It was an effort to avoid another cliché of the cancer sufferer. One of Stephen’s powerful messages was that he wasn’t suffering from Cancer, he was living through it. His thumbs-up image from his hospital bed helped his campaign which went far beyond his original fund-raising target. And in this way he discovered what lies beyond acceptance of his approaching death. His discovery lies beyond what most of us never find, the nature of altruism and service leadership. 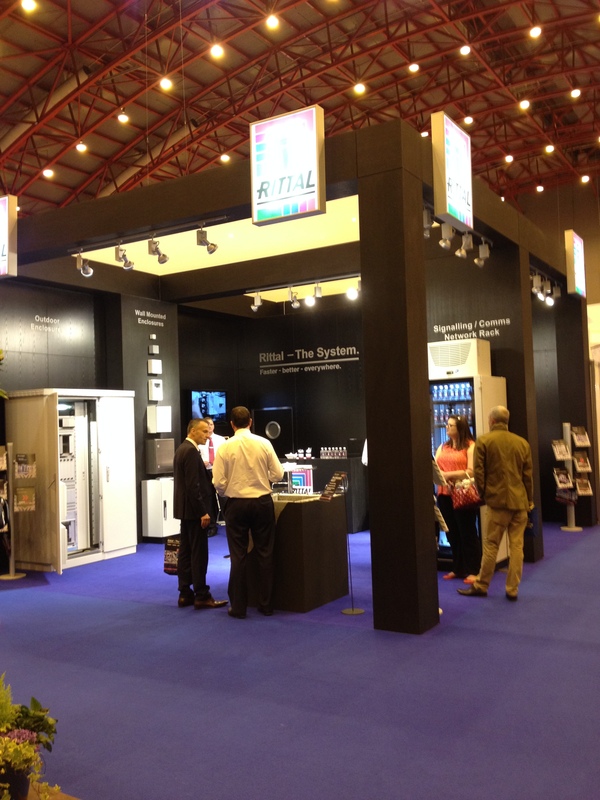 The UK’s definitive rail event returns this month to Earls Court, London. Join thousands of industry professionals to hear the latest news, see the latest products and meet key people from the industry. We are pleased to invite you to view our range of equipment enclosures and associated power, cooling & security solutions suitable for the rail industry. As one of the world’s leading manufacturers of modular enclosures and systems, Rittal can supply outdoor cabinets, 19” racks, signalling, network & comms enclosures, designed to meet varied and demanding environmental challenges, thus protecting your valuable & critical equipment from temperature, weather, impact and unwanted access. 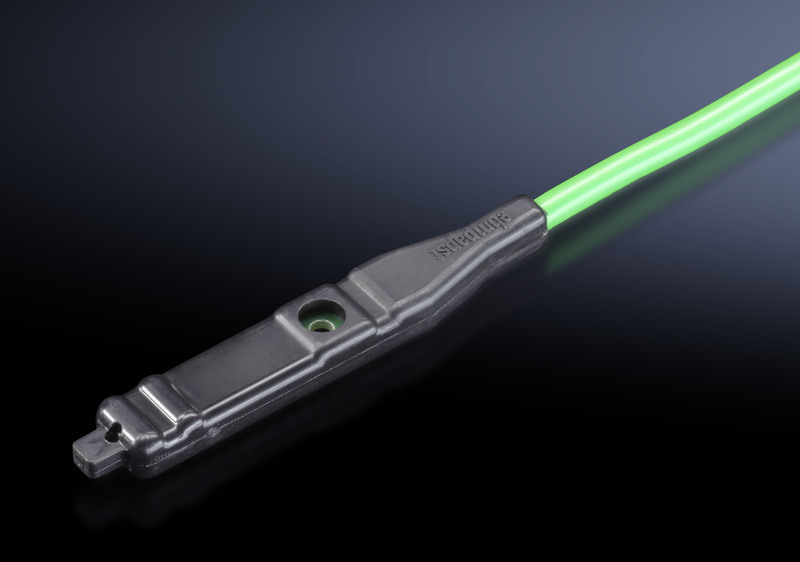 A new fan speed control sensor for Rittal’s TopTherm fan-and-filter units is now available. This handy and compact device, which is compatible with the larger models in the range of electronically commutated (EC) TopTherm fan-and-filter units, automatically adjusts the fan speed in response to changes in temperature inside the enclosure. With a fixed setpoint of 35 °C, the device provides continuous control with fan speeds varying linearly between 10 % at 20 °C and 100 % at 35 °C. No additional power supply is required as the sensor takes a 10 V DC feed from the fan-and-filter unit itself. Larger TopTherm fan-and-filter units with EC motors from Rittal, accept a 0 to 10 V DC or PWM control signal and can be controlled using a programmable logic controller (PLC). A tachometer signal output to monitor fan speed and operating conditions is included, to alert users immediately should any faults or failures occur. Rittal’s simple fan-and-filter unit is an innovative product with integrated energy efficient control, performance monitoring and sensor for speed control to achieve the best results. South Wales based systems integrators, Industrial Automation and Control Ltd., are again hosting Open Days on the 20th and 21st May, at their headquarters in Newport, South Wales. This bi-annual event now in its 12th Year offers a not to be missed educational experience through the variety of seminars, workshops and hands on experience that can be gained from attending. 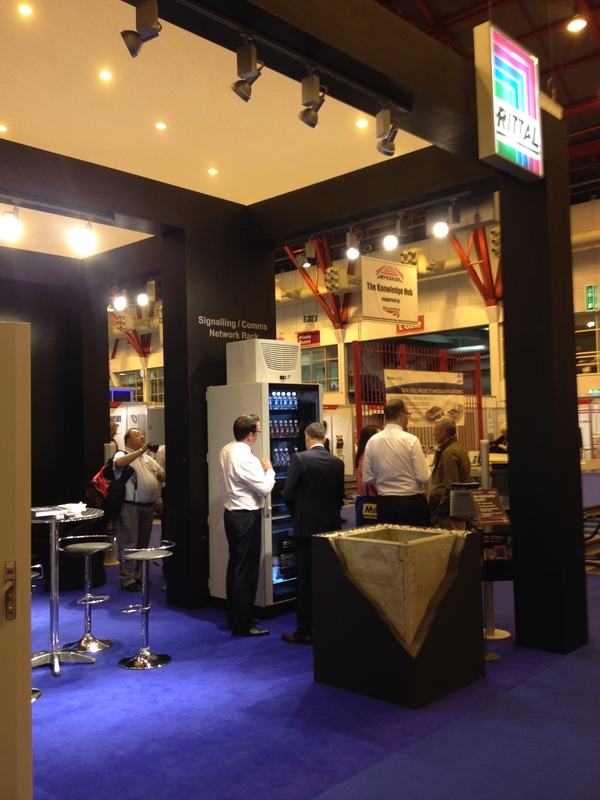 Complementing the seminar line-up will be an exhibition showcasing the very latest in industrial technology. This free to attend two day event will showcase the experience and expertise of one of the country’s leading systems integrators. In addition, you will be able to see the latest offerings from the World’s major equipment suppliers and sit in on a series of seminars on the latest in engineering and technology. This well established bi-annual event will provide a showcase of the latest in control technology. It may even answer your questions on some of today’s key issues. Planned seminars include topics such as: Machinery safety, power electronics for grid tie, surge protection, DCS migration, wireless technology, connector crimping best practice, IEC 61439, energy management and much more. Alongside the seminars, over 30 of iac’s partner suppliers are providing a display on equipment such as variable speed drives, Motors, sensors, programmable controllers, communications, motion control and machine safety. In addition, this year we have a special feature on logistics which will include conveying, sorting, vision and robotics. Entry is entirely free, with catering provided, although pre-registration is essential. Confirmed exhibitors include: Siemens, ABB, Pheonix Contact, Bosch Rexroth, Vacon, DP Fabrications, Pilz, Pepperl + Fuchs, IFM Electronic, Rockwell Automation, Parker Hannifin, Santon Switchgear, Mersen, Rittal, Kawasaki Robotics, Weidmuller, BNB Fabrications, Harting, CP Automation, Fisher Smith, Parmley Graham, Underwoods, SICK, Lutze, SIC, Bartec, Wittenstein, Harting, Invensys, Westermo, CSM & Cembre. For more information about the event and to register to attend please visit http://www.iac-ltd.co.uk/openday or contact 01633 293000. Read-out Instrumentation Signpost: Demand based automatic fan speed control! Read-out Instrumentation Signpost: Demand based automatic fan speed control!.